Do you have what it takes to be a Peggle Master? Shoot and clear all the orange pegs in this peg-busting, critically acclaimed game, now fully optimized for Android devices. 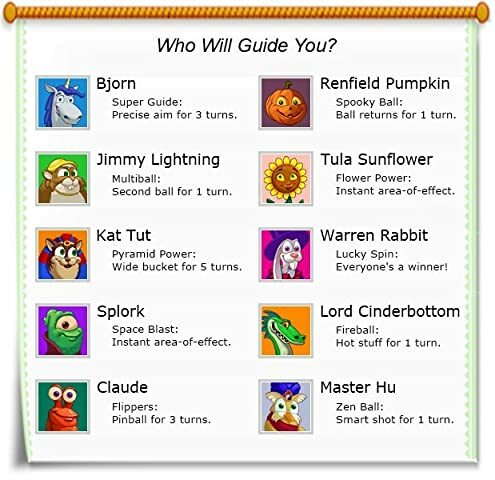 You’ll reach Extreme Fever as ten outlandish Masters help you achieve Peggle greatness. Take your best shot, conquer 55 levels, and wield ten magic powers in Adventure mode–and the fun is just getting started. Whenever a ball hits a peg, it bounces away in the opposite direction at the same angle. Double-tap the screen to zoom in and fine-tune your shots for perfect aim, then fire! When you hit a peg, it disappears as soon as the ball falls out of play. Access your gameplay options at any time from any level, and switch from right- to left-handed control. The cleverly designed colorblindness setting–which adds a triangle on the green pegs and a plus sign on the purple pegs–is a compelling and useful feature for all players, as a quick glance gives you a Zen-like grasp of a level’s most important pegs (just ask Master Hu). 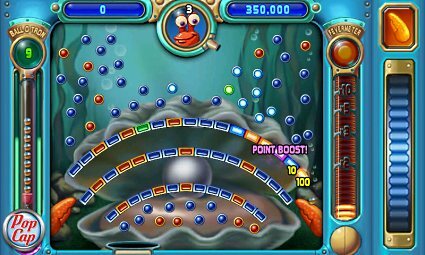 If you’ve made it through Adventure mode, congratulations–you’re a Peggle Master. But there’s a lot more Peggle to play. To succeed in dueling and beat the 75 Grand Master Challenges, you’ll need to summon all the strategies and skills you’ve learned along the way and choose the most helpful master. Are there a lot of tricky pegs? Are there lots of obstacles to maneuver around? Are the pegs evenly distributed? Are the pegs clustered close together? To choose a master, take a look at the level and decide on its most challenging aspect. Remember, there’s no timer, so there’s no need to rush. Think through your options, make a plan, and fire when ready. It’s a compelling blend of luck and skill that msnbc.com calls one of the “Top 5 most addictive video games of all time!” Deceptively simple, unbelievably fun, Peggle’s a game you can’t put down. But with Amazon’s exclusive launch for Android phones, you can play Peggle wherever you go.